I’ve asked a handful of creative friends to share some holiday posts with you all each month, here today is Kiki. She made the Be Your Own Kind of Beautiful print for me last year for my Girls Fancy Room. Hi everyone, I am so happy to be here to share some fun prints with you this year here at Kristen’s blog. My name is Kiki and I blog at Kiki and Company where I share lots of free printables. I love creating in all kinds (building, decorating, crafting, sewing, etc), but my favorite thing ever is to create printables. I have a shop where you can find all kinds of art for your home and I give away a lot of fun printables throughout the year, some of them holiday related and some just life related! I’d love to have you come and visit! Today I want to share with you a recent love of mine. Gold foiling is such a big thing right now. 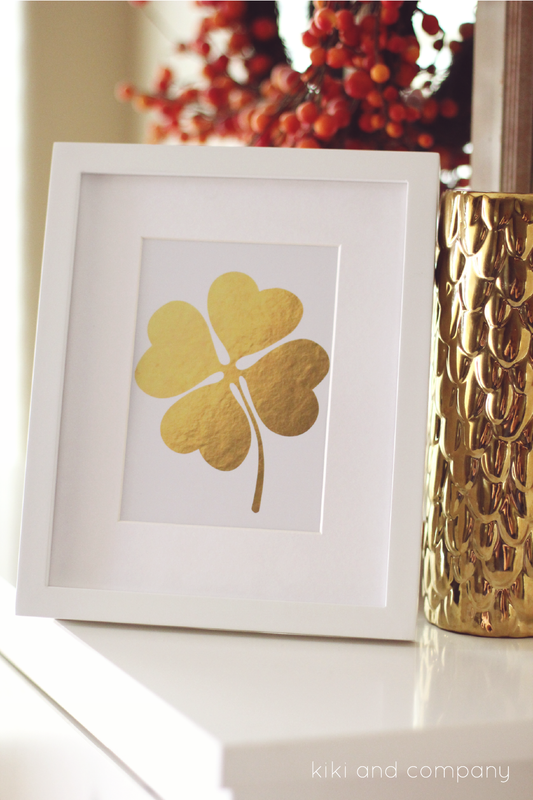 I love a good glimmer of gold in my decorating, and since I don’t go all out decorating for St. Patty’s Day, I thought a sweet little simple print would be best! It comes in 4 different varieties in an 8×10 size and you can choose one or all 4! You can find the Lucky Art print HERE. 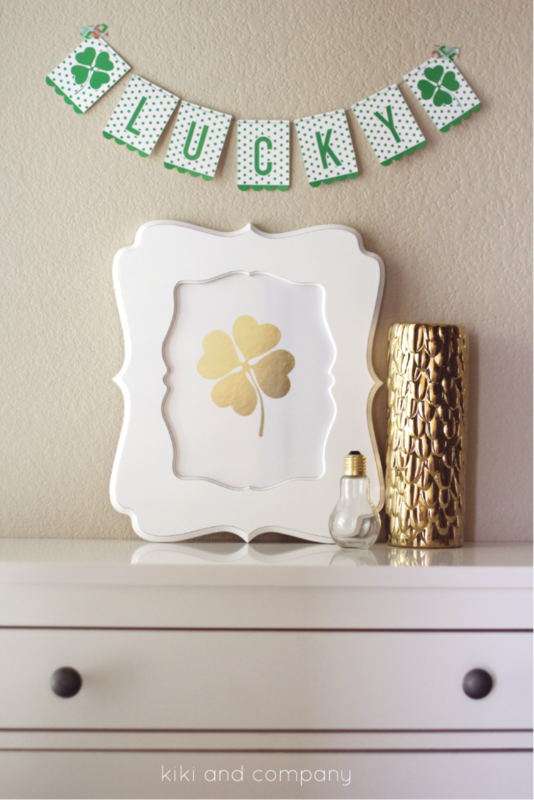 You can also stop by my place to pick up this sweet and simple little printable garland. I hope you have the LUCKIEST March around! See you next month. 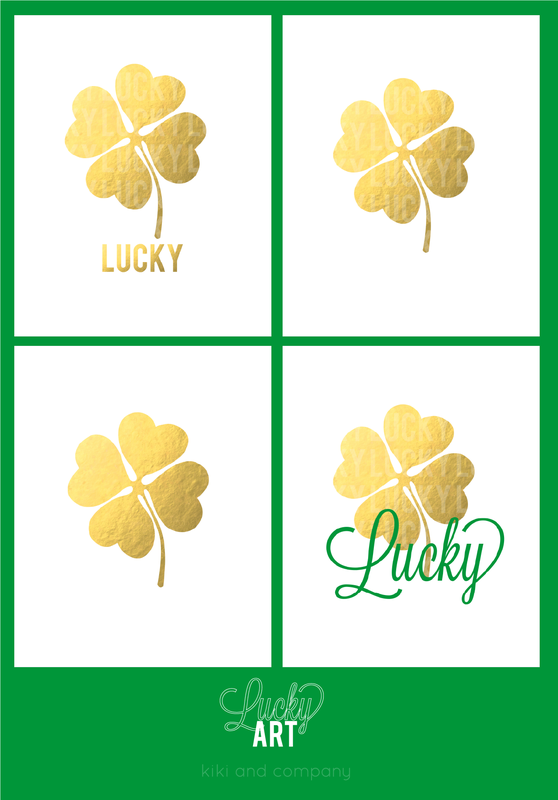 I’ve got some St. Patrick’s Day Lunch Jokes and a round up of Rainbow and Clover ideas, too!